“History is written by the victors.” That's certainly the old adage that reflexively gets accepted as true by so many of us even without knowing who first said it. But first the victor must wrest the pen that writes history into its own grasp. . . That’s what Forest City Ratner seems to be trying to do when it comes to Atlantic Yards and its exploits in New York City. In October Forest City Ratner’s Chief Executive Officer MaryAnne Gilmartin was appointed to the board of trustees of the board of New York Public Radio, better known as WNYC and its sister station WQXR, according to the press release appointing Gilmartin, “America's most listened-to AM/FM news and talk public radio stations.” How did that happen?. . .
. . . Certainly not without a lot of maneuvering and purposeful intent on the part of Forest City Ratner. The WNYC public radio stations are not are not only the “most listened-to” stations; there is also an implicit agreement with their listeners that, because they are listener financed, they can be trusted as a much more reliable source of earnest news reporting, an alternative free from the corrupting influence that saturates commercially owned and operated news media. Accordingly, for instance, the idea that the WNYC family of stations provides in-depth news and information that is vastly superior to the kind of press release-conduit journalism that commercial stations put out was propounded again and in the sales pitches made during WNYC’s last fund-raising drive, just as that idea has been highlighted in the many years of fund-raisers before. 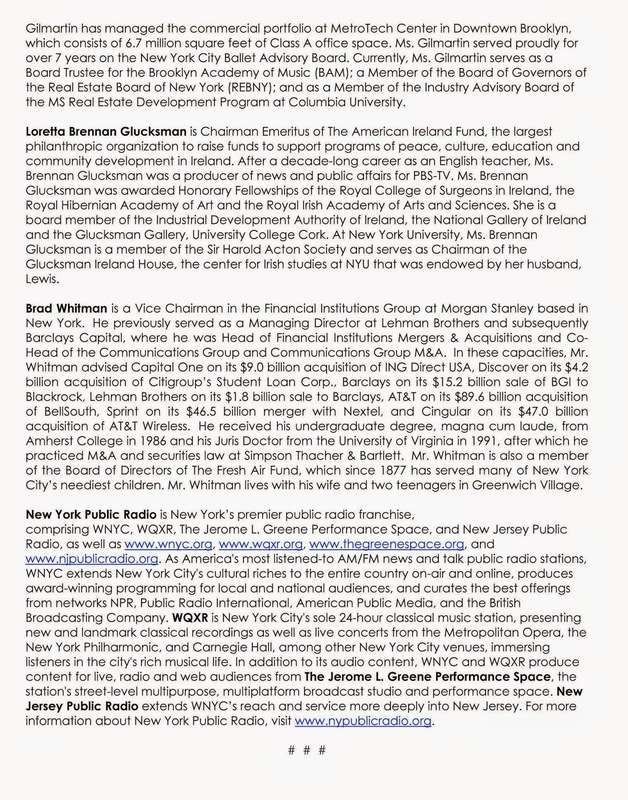 This most recent WNYC fund-raiser was subsequent to Ms. Gilmartin’s appointment to the WNYC board. Ms. Gilmartin’s arrival at her policy-making trustee’s position on the WNYC board is reminiscent of another board’s takeover and ensuing 180-degree policy changes seen most clearly with respect to Forest City Ratner’s Atlantic Yards: That of the once venerated Municipal Art Society. The Municipal Art Society was once thought of as representing the public and standing up to developers in the face of abusive development. Kent Barwick, when he was the head of MAS, called Atlantic Yards “the poster child for what goes wrong when process is ignored. . . a poorly designed project that has polarized the community and that squanders both opportunity and public trust.” Not so long ago, MAS had scores of forums about development in the city invoking the name and principles of Jane Jacobs in which, while the moderators kept civil order, the Atlantic Yards mega-monopoly was excoriated by expert panelists and attending public alike, for a zillion villainous transgressions against the public interest. Just a few days ago I ran into a woman who was a new resident of New York who, without knowing any of the history of how MAS’s mission has been recently redirected, told me that she had attended a MAS event and unexpectedly found it an almost unbelievably depressing pro-development spectacle. I don’t know. . I wasn’t there, but I do know that there has been a massive exile of those who used to be involved with MAS, including its former president, Kent Barwick, to resurrect The City Club of New York. What’s left of the former Municipal Art Society seems to have gobs of money, but its soul is and moral compass are lost. In its place, the new, leaner City Club is shaping up credibly to fill in the void of what MAS once was. This brings to mind another adage about victors and victory: “To the victor go the spoils.” Getting to write history, the ability to control the past and thereby own the future too, may be viewed as just a subset of the spoils that the victors get to walk away with. The sad thing, if Forest City Ratner gets to write the history of Atlantic Yards, is that such writing of our history will not just be the consequence of victory, but another victory unto itself. Although Forest City Ratner overpowered the public interest and the community to achieve many things it ought never to have achieved, I think it is quite fair to say that the community won a good share of the battles. The most important was the laying bare of Forest City Ratner’s deceptive practices. That's more important even than the successful adjudication respecting such practices when the community won its environmental lawsuit. These victories helped ensconce a public understanding of the abuses in the competing narratives of what happened. In this way, the predatory Forest City Ratner cat was belled to warn those mice who might appeal to the cat as its future meals. Evisceration of WNYC and the Municipal Art Society is a way of silencing that bell on the cat. The “Braveheart” quote about writing history, put in the mouth of Robert the Bruce, is “history is written by those who have hanged heroes” with a concordant implication that those dead heroes and their deeds are then written out of our pasts. That saps the spirit of resistance even further. The heroes of the Atlantic Yards fight and other community battles may now be largely exhausted, having worked unpaid against well-financed minions. They may have paid the price of many wounds, made many sacrifices. We may even now think of some of them as the equivalent of the dead on the battlefield, but it’s truly grievous to think that all their hard work and truth that was brought to light by, for instance, the “No Land Grab” team or the “Battle For Brooklyn” documentary would be forgotten. Maybe history will be rewritten so that WNYC’s future listeners or those going to next year’s MAS functions devolve, uninformed, into the feckless, perpetual infants or children of Cicero’s and Santayana’s admonitions, but on its own side of the fence Forest City Ratner is not going to forget its perfected playbook. Similarly, other developers seeing what Ratner got away with will remember and emulate. Which is to say that whatever battles have been won or lost it is still an ongoing war. That brings us to what should be a number of critical realizations about the road we are not yet at the end of. Yes, there is a question as to whether other developers will use, throughout the city, tactics Forest City Ratner used with respect to Atlantic Yards and its other New York City exploits going back to at least 2002, and there is the likelihood that Forest City Ratner’s tactics on future projects will resemble those its used on Atlantic Yards, but. . . .
. . . Anyone who thinks that Forest City Ratner has won the Atlantic Yards war thinks in very circumscribed terms. Completion of the Atlantic Yards mega-development from this point on could still take as much as another forty years. * Even now, twelve years after Forest City Ratner started moving in to take over a swath of Prospect Heights with the threat of eminent domain, it has built only the arena (that's not even technically finished at this point as a corrective new secondary green roof is being built). It has not built any housing. It has not replaced any of the residential units it destroyed, including the low-income units it will never actually replace. It has not replaced the businesses it evicted. The one attempt Ratner has made to build a residential building stands halted, mired in a lawsuit about incompetence and may have to be torn down to be built again from scratch, its original estimated cost of $155 million now rising to perhaps $215 million or even $265 million. Forty years, or however many decades it actually takes to complete Atlantic Yards, affords ample opportunity for the community, albeit exhausted, to insist, as it should, that the mega-project be divided up and bid out to multiple developers, restoring the streets, sidewalks and avenues that Forest City Ratner has privatized. Conversely, it affords opportunities galore for Forest City Ratner to reenact more times than we will be able to count what it has done at juncture after juncture, renegotiate repeatedly the terms of its monopoly to shift benefits increasingly in its favor. In fact, as an example of how easily things can go one way or another, just recently in June, hardly anytime at all before the residential constructions problems and ensuing litigation about it was to be disclosed in August, something that would have made Ratner extremely vulnerable to finally losing monopoly control over the project especially given the community's litigation victory, Ratner slickly maneuvered, taking advantage of a new administration under the incoming mayor to renegotiate new terms for its deal (and more subsidy), once again more to its advantage. Not knowing how how income eligibility bands were being rejiggered in the background, the representatives who ventured to negotiate for the community were snookered in the deal they'd probably have been better off never making no matter how good it was made to sound. Without cinching this deal, Ratner might have failed in his desperate deal selling a portion of the mega-project to the Chinese government. Consequently, Forest City Ratner is not presently the victor seeking to write history. Still not yet the victor, it is simply doing what it has done from the start, seeking control of the news media and those who write the news in order control the narrative, in order to be the victor when all is said and done. . . . If ever a definitive tale is told about the still-ongoing Atlantic Yards saga it is virtually certain to be in the form of the book on the subject that Norman Oder is writing. Mr. Oder writes Atlantic Yards Report (currently retitled “Atlantic Yards/Pacific Park Report” in view of the fact that the Ratner firm euphemistically rechristened its project to divorce its self from years of bad press). Atlantic Yards Report originally began as the “Times Ratner Report” much of its earliest focus being about how irresponsible and misleading the coverage of Atlantic Yards by the New York Times was. Conception of the Atlantic Yards project goes back to the summer of 2002. In February of 2001 an eminent domain land deal was reached that turned Forest City Ratner into a real estate partner with the New York Times to construct its new headquarters. For more about how the questionable reporting by the Times undoubtedly assisted Ratner’s Atlantic Yards to advance and ultimately succeed as far as it has, see: Sunday, June 26, 2011, “Page One: Inside the New York Times” Reviewed; Plus The “New York Times Effect” on New York’s Biggest Real Estate Development Swindle. Ratner is also well infiltrated into the Brooklyn Academy of Music and the Brooklyn Museum. Under that rubric, it would seem that Ms. Gilmartin’s appointment to her policy-setting position on the WNYC board should be of vital concern to the CAB. To argue, contrarily, that it is only a board appointment and that the CAB should wait and be concerned only when station policy actually changes after enough board members of Ms. Gilmartin’s ilk have been appointed would be to say the CAB should react to close the barn door only after there has already been an irreversible escape of the horse. CAB members face a conundrum in regard to whether they will screw their courage to the sticking point and object to Ms. Gilmartin’s appointment. According to the by-laws of the Community Advisory Board: “CAB members are subject to the approval of the [WNYC Board of Trustees] or its designees, including members re-nominated for a second term.”- . 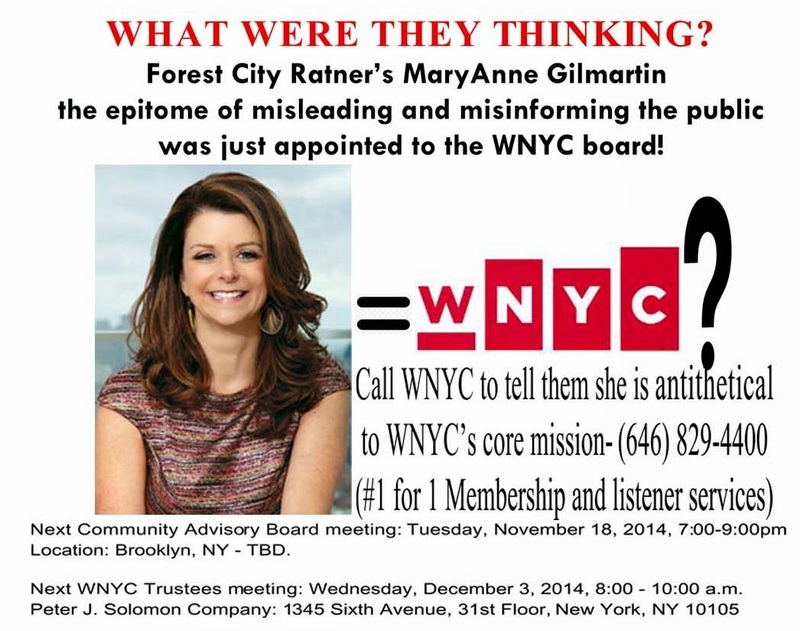 . .
. . . . That means that, by getting appointed to the WNYC Board of Trustees, Forest City Ratner head MaryAnne Gilmartin now has a say-so about who is on the Community Advisory Board supposedly watch-dogging her implementation of station policy. 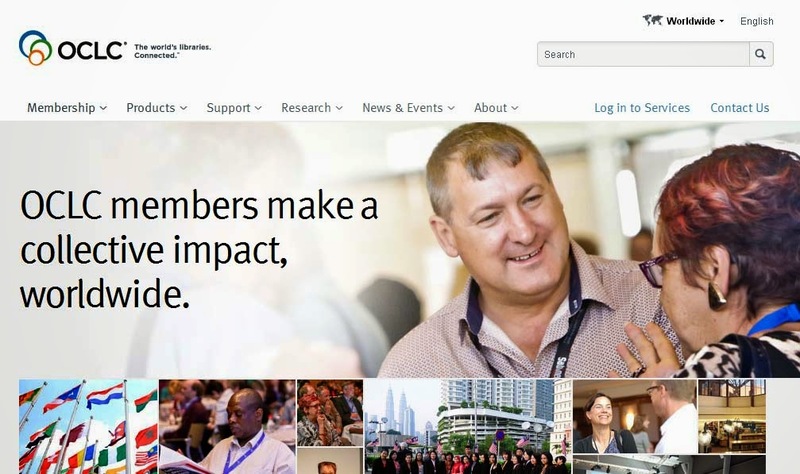 Although the Community Advisory Board should probably be recommending Gilmartin's removal from the board and holding up her appointment as an example of what never ought to be done again, if they do, it could subject their members to her vengeance. Although WNYC is keeping confidential more specifics and the deliberations that were involved, we know that the Trusteeship Committee (comprised of the following Trustees: Tom Bernstein, Martha Fleischman, Anton Levy, Herb Scannell, Lauren Seikaly, Peter Shapiro, Susan Solomon, Nicki Tanner, Andrea Taylor, Keith Thomas, Cynthia King Vance, Laura Walker and Alan Weiler) nominated Forest City Ratner CEO MaryAnne Gilmartin for trusteeship after an evaluation they were supposed to make of her qualifications and suitability for service and probably someone on the committee identified Ms. Gilmartin as a potential candidate for trustee. Since WNYC is not telling us we have to guess while noting that it could even have been WNYC president Laura Walker who pushed Gilmartin's nomination forward. A hint that Ms. Gilmartin might have been coming to the WNYC board involved her bizarre appearance back in July accompanied by WNYC president Laura Walker fluffing up a Brian Lehrer show segment about how to get `a good night’s sleep,' something, as commented by me at the time, it's questionable that Ms. Gilmartin actually deserves. Giving a burnishing heft to Ms. Gilmartin's credentials though not necessarily making her being there seem less odd, Arianna Huffington was also a part of this surreal segment. Oh, Oh, WNYC! Oh Brian! See: Wednesday, July 16, 2014, On Brian Lehrer, FCR's Gilmartin reports on CEO Sleep Experiment. If and when WNYC policies begin to change subsequent to this Gilmartin appointment it is doubtful that we see that change manifest in Brian Lehrer losing his prominent morning slot in the near future: He is expert at what he does, beloved by his audience, young enough to be around for a long time and, although moderating with reasonable fairness, he has never expressed hostility toward Atlantic Yards. We would be more likely to see change creep in with a replacement of a retiring Leonard Lopate, an older broadcaster who has more regularly acknowledged the legitimate basis for the community's dissatisfactions with the megadevelopment. It would be nice if Mr. Lopate were around to interview Mr. Oder when his awaited book comes out, but who knows when that will be as the Atlantic Yards saga continues to lumber forward in surprising ways frustratingly postponing any neat point at which to wrap up. Mr. Lopate could likely be replaced by someone who, on the spectrum, is more more likely to be confused with a corporate lapdog than Brian Lehrer, perhaps friendlier to developers like Ratner than even Charlie Rose. 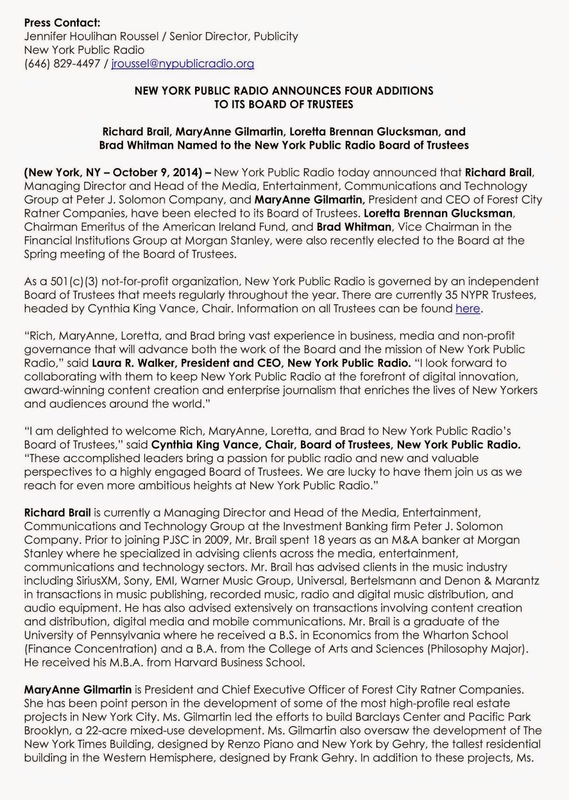 (New York, NY – October 9, 2014) – New York Public Radio today announced that Richard Brail, Managing Director and Head of the Media, Entertainment, Communications and Technology Group at Peter J. Solomon Company, and MaryAnne Gilmartin, President and CEO of Forest City Ratner Companies, have been elected to its Board of Trustees. Loretta Brennan Glucksman, Chairman Emeritus of the American Ireland Fund, and Brad Whitman, Vice Chairman in the Financial Institutions Group at Morgan Stanley, were also recently elected to the Board at the Spring meeting of the Board of Trustees. As a 501(c)(3) not-for-profit organization, New York Public Radio is governed by an independent Board of Trustees that meets regularly throughout the year. There are currently 35 NYPR Trustees, headed by Cynthia King Vance, Chair. Information on all Trustees can be found here. MaryAnne Gilmartin is President and Chief Executive Officer of Forest City Ratner Companies. She has been point person in the development of some of the most high-profile real estate projects in New York City. Ms. Gilmartin led the efforts to build Barclays Center and Pacific Park Brooklyn, a 22-acre mixed-use development. Ms. Gilmartin also oversaw the development of The New York Times Building, designed by Renzo Piano and New York by Gehry, the tallest residential building in the Western Hemisphere, designed by Frank Gehry. In addition to these projects, Ms. Gilmartin has managed the commercial portfolio at MetroTech Center in Downtown Brooklyn, which consists of 6.7 million square feet of Class A office space. Ms. Gilmartin served proudly for over 7 years on the New York City Ballet Advisory Board. Currently, Ms. Gilmartin serves as a Board Trustee for the Brooklyn Academy of Music (BAM); a Member of the Board of Governors of the Real Estate Board of New York (REBNY); and as a Member of the Industry Advisory Board of the MS Real Estate Development Program at Columbia University. New York Public Radio is New York’s premier public radio franchise, comprising WNYC, WQXR, The Jerome L. Greene Performance Space, and New Jersey Public Radio, as well as www.wnyc.org, www.wqxr.org, www.thegreenespace.org, and www.njpublicradio.org. As America's most listened-to AM/FM news and talk public radio stations, WNYC extends New York City's cultural riches to the entire country on-air and online, produces award-winning programming for local and national audiences, and curates the best offerings from networks NPR, Public Radio International, American Public Media, and the British Broadcasting Company. WQXR is New York City's sole 24-hour classical music station, presenting new and landmark classical recordings as well as live concerts from the Metropolitan Opera, the New York Philharmonic, and Carnegie Hall, among other New York City venues, immersing listeners in the city's rich musical life. In addition to its audio content, WNYC and WQXR produce content for live, radio and web audiences from The Jerome L. Greene Performance Space, the station's street-level multipurpose, multiplatform broadcast studio and performance space. New Jersey Public Radio extends WNYC’s reach and service more deeply into New Jersey. For more information about New York Public Radio, visit www.nypublicradio.org. Another item in the press release that's probably of interest in this context is that Brad Whitman also being appointed to the board, although now with Morgan Stanley, came from Barclays Bank just months before where he was head of mergers for financial institutions. Barclays is the bank whose name is on the Ratner arena. That prominent public spot was sold to it as advertising, confusing what the public should think about its misconduct. The world is too entirely too small, isn't it? (click to enlarge) The kind of public interest advertising we might see in the subway if the public were coming up with funds for what's posted there. 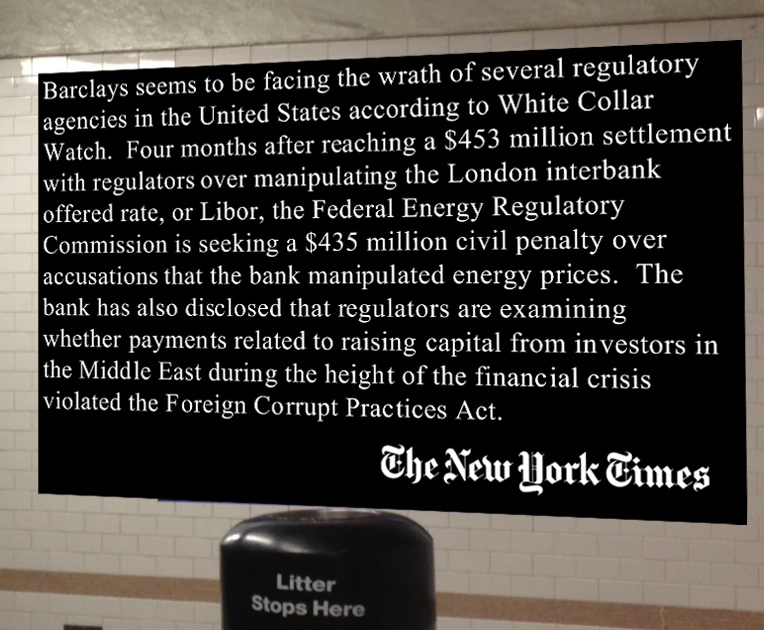 Instead, the recidivist Barclays has the subway station and publicly paid for arena named after it to wash away thoughts of its misdeeds. Forest City Ratner has never done a project without deep publicly paid for subsidy and it has never done a project where it was selected by competitive bid. Its modus operandi in pursuing its usually large scale crony capitalistic deals is to get on the political inside, buying elected officials with campaign contributions and then misrepresent what is going on, that which the public is getting and what the public is losing. For a little more background on this and Ms. Gilmartin's appointment, see: Saturday, October 11, 2014, The Forest City Ratner Cafe, at the Brooklyn Children's Museum, and Gilmartin's new role on WNYC board, Atlantic Yards Report- Atlantic Yards/Pacific Park Report- Atlantic Yards, Pacific Park, and the Culture of Cheating, Tuesday, December 1, 2009, Unfair Substitution of Fiction For Fact in the Atlantic Yards Dialogue and Wednesday, July 18, 2012, Noticing New York's Hearing Testimony Re New York City Housing Development Corporation's Subsidization of Ratner's Atlantic Yards Mega-Monopoly. Am I being too inhospitable, too unwelcoming to Ms. Gilmartin's arrival at WNYC? 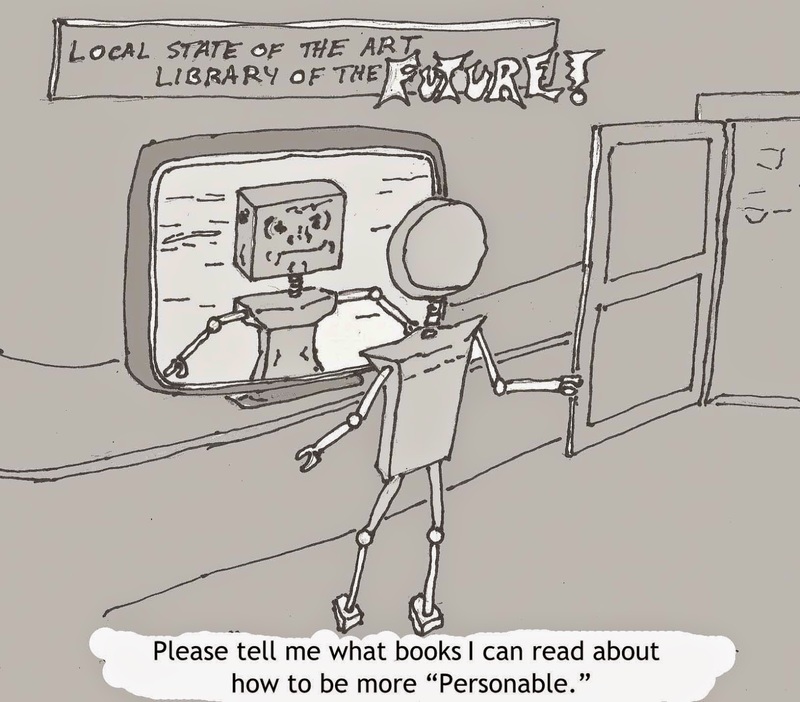 Should one's attitude be more of a civilized "live and let live" approach where commercial and noncommercial interests could cohabit in the public broadcasting space, exchanging ideas with he-said/she-said balances? Would that be the right resolution? Could we expect that cohabiting commercial interests in public broadcasting would restrain themselves and not use the usual tactics of superior financial resources to overwhelm? . .
. . I don't think so. Public broadcasting is supposed to be the alternative to other broadcasting already steeped in and motivated by commercialism (dubbed the "vast wasteland" when public broadcasting was conceived- "endlessly screaming, cajoling commercials"), not another sandbox where commercialism can play in a different guise getting elevated to equal footing with the public interest and that which the public wants to pay for. 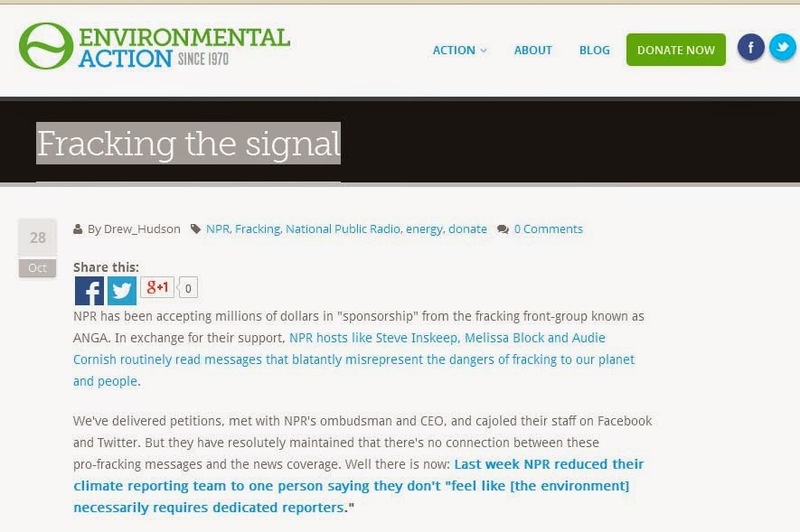 "NPR has been accepting millions of dollars in "sponsorship" from the fracking front-group known as ANGA. In exchange for their support, NPR hosts like Steve Inskeep, Melissa Block and Audie Cornish routinely read messages that blatantly misrepresent the dangers of fracking to our planet and people. Indeed, too often NPR and APR's MarketPlace (we won't review the complicated pluralistic structure of public broadcasters here) have run one-sided stories about how good fracking will be for the economy that appear to have come straight from that industry's press department representatives. But the fact that these inroads have been made is not a reason to let there be more. No, Forest City Ratner and MaryAnne Gilmartin don't cohabit nicely in the sandbox with others and they don't share toys. When they want the property that you have they take it for themselves by eminent domain, stealth, cheating, and dirty and brute politics. And that is why MaryAnne Gilmartin should not be on the board of New York Public Radio setting policy, including news reporting and public dialogue policy, for the WNYC family of radio stations.